Richard Gere made his name as the handsome romantic lead in hits like An Officer and a Gentleman and Pretty Woman. As he approaches his 70th birthday, though, Gere tends toward more character-oriented roles, a trend that leads him to 2017’s Norman: The Moderate Rise and Tragic Fall of a New York Fixer. Norman Oppenheimer (Gere) operates at the margins of New York’s power structure and struggles to get anywhere. Along the way, he meets and befriends a relatively young politician named Micha Eshel (Lior Ashkensazi), an event that later proves fateful. Three years after their initial encounter, Eshel becomes prime minister of Israel, and Norman schemes to take advantage of their acquaintance. Norman uses this connection in a variety of ways, some of which create significant problems. When Norman succeeds, it does so largely due to Gere, as he offers a terrific performance. Gere manages to tamp down his natural charisma and play a schlub well. He allows Norman to feel sharp enough to pull off his occasional successes but still flawed and vaguely irritating. Norman benefits from a solid supporting cast as well. We get talents like Steve Buscemi, Michael Sheen, Hank Azaria and Harris Yulin among others, all of whom add some class to the proceedings. Unfortunately, other aspects of Norman fare less well, mainly due to its draggy story structure. The film tends to plod too much of the time, a factor that leaves it less engaging than I’d expect. The characters rarely become as involving as they should, too. Even our title role tends to lack much real depth – Gere draws out as much as he can from the part, but the inherent absence of substance becomes a problem. At almost two hours, Norman ends up as a bit of a tough ride. Due to its cast, it keeps us with it, but the movie doesn’t hit home like it should. That makes it inconsistent and only occasionally fulfilling. Norman: The Moderate Rise and Tragic Fall of a New York Fixer appears in an aspect ratio of approximately 1.85:1 on this single-sided, double-layered DVD; the image has been enhanced for 16X9 televisions. Within the parameters of SD-DVD, this became a mostly solid presentation. As long as I considered those constraints, sharpness looked fine. Inevitably some softness impacted wider shots, but most of the film offered nice accuracy and definition. Jagged edges and shimmering weren’t a problem, and I saw no print flaws. However, light edge haloes crept into the image at times and created minor distractions. Two featurettes appear here. Making the Connection goes for four minutes, 37 seconds and offers info from writer/director Joseph Cedar, producers Miranda Bailey and Oren Moverman, and actors Richard Gere, Steve Buscemi, Lior Ashkenazi, Charlotte Gainsbourg and Hank Azaria. They discuss Gere’s role and performance as well as Cedar’s impact on the production. This becomes a fluffy, superficial overview. An Evening With Norman lasts 22 minutes, 50 seconds and features a panel with Cedar and Gere. Moderated by Dateline Hollywood’s Pete Hammond, they cover Gere’s part and his casting/performance, the film’s origins and development, story and characters, supporting actors, and shooting in New York. Though not a great look at the film, “Evening” does manage to get into a mix of useful topics. It ends up as a mostly informative piece. The disc opens with ads for The Comedian, The Hollars, Maudie, The Meddler, Paris Can Wait and Maggie’s Plan. We also get the trailer for Norman. 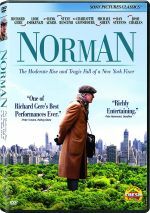 Due to a strong lead performance by Richard Gere, Norman: The Moderate Rise and Tragic Fall of a New York Fixer remains fairly engaging. However, its narrative flow lets it down and makes it more of a slog to watch than I’d expect. 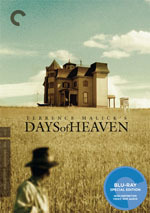 The DVD presents more than adequate picture and audio as well as minor supplements. Gere carries the film but isn’t enough to make it great.